How can homeowners diagnose their homes for environmental problems? Anderson and Benoist, environmental and building consultants, discuss seventy symptoms and pollutants which can aggravate health conditions, telling how to reduce or eliminate them and how to test for lead, radon, and carpet hazards. 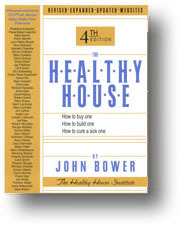 DIAGNOSE YOUR IN-HOME ILLNESS A pertinent book that depicts lists of common health symptoms and the corresponding indoor pollutant that could be causing them. A great way to diagnose if your sick buillding is causing you to be sick too! Information on subjects that include airtightness and ventilation, mold and moisture, wood and wood products, and their noxious and toxic potentials. Includes source listings of manufacturers and suppliers. Annotation copyright Book News, Inc. Portland, Or. Here is the first guide to redecorating any house or apartment to create a sanctuary that enhances physical, emotional, and spiritual well-being. 105 four-color photographs. 10 four-color charts. 80 one-color illustrations. Numerous illustrations and informative text give decorating and designing guidance. A thorough, useful work at a low price. Annotation copyright Book News, Inc. Portland, Or. 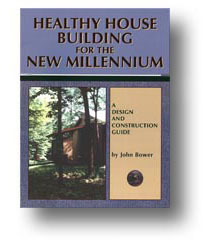 Featuring specific how-to projects written by specialists, as well as an index organized by city and region, this book is a natural for home builders, renovators, decorators, and fixer-uppers who cherish the environment now–and want to preserve it for future generations. 91 photos, 16 in color.